An excruciatingly honest, unapologetic account of reckless alcoholism, Drinking and Driving is one young man's account of reaching rock bottom behind the wheel. 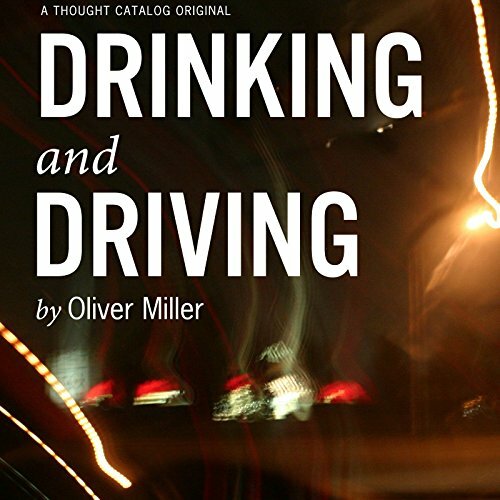 Oliver Miller believes all he needs to be happy is a full tank of gas and a bottle of brand-name booze. It will take him years of false starts, shattered glass, doctors offices, dingy halfway houses, fights and slurred phone calls to anyone who'll pick up to realize that drinking and driving brings him everything but happiness. His story will resonate with anyone who's ever question their own drinking or known someone who has - which, today, is just about everyone. ©2012 Oliver Miller (P)2014 Audible Inc.